The following are the events currently scheduled for the 2013 Fall Gaming Hoopla. The next Gaming Hoopla is September 27th to September 29th, and will be held at The Johnstown Community Center, 9937 East County Road A, Janesville, WI 53546. You can find a map and directions from Chicago, Milwaukee, Madison, and Rockford on our web site: www.gaminghoopla.com. As always, all proceeds from the Gaming Hoopla are donated to the American Cancer Society through the Knutson Family and Tastefully Simpletuns Relay for Life Teams. Except for the Special Events which are listed first, all events are listed in chronological order by day and event start time. Please be sure to check out all pages if you are using this as a reference to plan your Hoopla schedule. Will Teach - This is a "learn to play" session...the game will be taught. Some Experience - Some experience with that game or genre of game is helpful. Judges will still teach, but reading rules prior to the event is encouraged. Experience Necessary - Player should be familiar with the game and know most if not all of the rules. If you see an event you just have to have a seat at, we highly recommend visiting our website and preregistering between now and September 20th to guarantee your name is one of the first on the list. With over 120 scheduled events, it would be difficult to find something you're not interested in. However, if you don't see anything you like, then come and run your own games using one of the over 1000 games in the GenCon Games Library and our open gaming tables! For more information and periodic updates about the Hoopla, check out www.gaminghoopla.com. You can also join our BGG conversation in the Conventions forum here: 2013 Fall Gaming Hoopla Announcement! If you have any questions, please comment here, or email us at gaminghoopla@gmail.com. The Luminaria Ceremony is a tribute to those who had or have cancer, those who lost their lives, and those fighting the disease. The ceremony will take place at 8:00 pm on Saturday night. ALL events will be stopped at this time for a short break, and we will take some time to remember that ultimately the Gaming Hoopla is a fund-raiser to raise money to fight this disease. Join us in celebrating the lives of those who have lost their battles with cancer, and in supporting those who are currently fighting it. Your generosity can make a difference! Each welcome packet will include a luminary bag with instructions, and others will be available for attendees to decorate in memory or support of their loved ones. Donations are accepted, but not required. 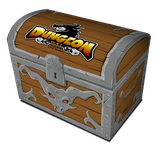 Description: There’s treasure buried deep in the ancient halls of the dwarves, but only one clan will be victorious! Navigate through the treacherous mountains hazards, angry spirits, and deal with the other teams of dwarves going for the treasure! And remember, getting the treasure is only half the battle! Description: In this sci-fi themed deck building game, you will conquer or explore new planets and add them to your empire. You can extract resources from them and trade them in for victory points, while increasing your technological knowledge and improving your actions to gain you points. The strongest player at the end of the game wins! Description: Come play this recent Russian import -- first introduced to the U.S. at Gen Con. In Evolution: The Origin of Species, players do the work of nature, putting animals into play and evolving them trait by trait to help them survive and thrive. Each player starts with a hand of six cards that feature an animal on the back and one or two traits on the front. Play animals, and then give them traits that make them harder to kill, or more dangerous to other players' animals. Only the strongest will survive. 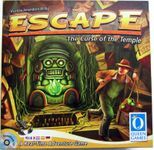 Description: This game has been described as Indiana Jones, the board game. It is a pulp action game where you are an adventurer trying to gain enough fortune to win the game. However, you need to survive dangers and cliffhangers, fight enemies and Nazis on your way. Description: In King of Tokyo, you play mutant monsters, gigantic robots, and other aliens – all of whom are happily whacking each other in a joyous atmosphere in order to become the one and only King of Tokyo. At the start of each turn, you roll six dice. The dice show the following six symbols: 1, 2 or 3 Points of Destruction, Energy, Healing and Whack. 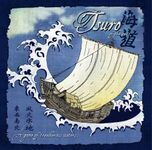 Over three successive throws, choose whether to keep or discard each die in order to win destruction points, hoard energy, restore health, or whack other players into understanding that Tokyo is YOUR territory. The fiercest player will be crowned King of Tokyo... and will end up facing all the other monsters alone! Top this off with special cards purchased with energy that have a permanent or temporary effect, such as the growing of a second head which grants you an additional die, body armor, nova death ray, and more.... and it's one of the most explosive games of the year! In order to win the game, one must either destroy Tokyo by accumulating 20 destruction points, or be the only surviving monster once the fighting has ended. Description: Dracula, Frankenstein's monster, the Werewolf, and the Mummy have all come to Monster Con, hoping to abduct the horror starlet Guest of Honor, without anyone noticing they're not just in costume. Which monster will you play? Can you get the girl? Will you win a a deck? Also featuring: Invisible Man, Amorphous Blob, Swampy, and Alien Changeling (Return of Monster Con); Bride of Frankenstein, Ghost of Room 13, Phantom of the Opera, and Undertaker (Son of Monster Con); Cthulhu Cultist, Innsmouth Cousin, Nyarlathotep, and Pickman's Apprentice (Monster Con: Cthulhu Pack). Description: Partnership climbing card game. Object is rid yourself of your hand. The deck is a standard 52-card pack with four special cards added. When it's your turn, you may either beat the current top card combination or pass. If play passes all the way back to the player who laid the top cards, he wins the trick and can lead the next one. The card led determines the only combo of cards to be played on that trick. Fives, Tens and Kings are worth points, with each hand worth one hundred points. The first team to 1000 points wins. Description: Troyes is a dice/worker placement game, where the dice represent people in the three main houses, City Hall, the Bishropric and the Palace. Each gives you a different color die, and each is used for different activities. By the end of round three there are nine activities up and you use your agents to activate them to accomplish your goals. Most victory points, wins! And don't forget to build the cathedral. May also incorporate Ladies of Troyes if the table is more experienced. Description: This is a simple dice rolling game where you collect victory points by helping to build zeppelins from times of old. Add certain people to your team to add to the dice you roll each turn, gaining you better chances to construct airships. The player who has amassed the most points by the end of the game, gained by improving your team, will be declared the winner. Description: A 10 minute co-op dice rolling game. We'll play as many rounds as desired starting with the base game and adding in expansions as we go. We'll be running it for the full 2 hours so players are welcome to jump in or out as we go. 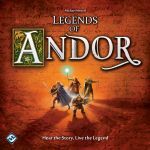 Description: As one of the secret lords of waterdeep, assign your agents to advance your agendas and increase your influence in the city of waterdeep. Complete quests, engage in intrigue, and outwit your opponents before time is up. You never know who is really winning until the end of the game! Description: Bring on the greatest gold-grabbers in history – pirates! Use your Silver Long Johns to beat the Lobster Mobster, drink your Demon Rum to fight off the Viking Kittens, and defend yourself with the Cutlass (or Cutlad, for the gents) against the Prince of Whales. But watch out for Sharks! Plunder the seven seas as a Pirate, Naval Officer, Explorer or Merchant. Taunt your foes with your horrible British, Spanish, Dutch, or French Accent. Equip your Half-Galleon with a Crow's Nest and Figurehead. But above all...level up! Steve Jackson Games sponsored. [b]Description: Power Grid is a resource management game with an auction mechanic working in it. You play a power company manager who decides what power plants to build and what cities you will offer services to. The manager who powers the most cities at the end of the game, wins. We will have six boards to choose from. Description: A Pathfinder Society Scenario designed for levels 5–9. The dwarven sky citadel of Janderhoff in eastern Varisia is one of the least visited settlements in the land, at least by non-dwarves. Nevertheless, the Pathfinder Society has been invited to assist in the excavation of a forgotten ruin within the large underground complex. What the fearless adventurers stand to find within could be the greatest discovery of the Age of Lost Omens, something sure to immortalize all involved in the pages of the Pathfinder Chronicles for ever more. But the ruins under Janderhoff aren't the end of the Pathfinders' journey; rather they illuminate a treacherous path ahead, from the familiar land of Varisia into much more dangerous territory. Description: A Pathfinder Society Scenario designed for levels 3–7. Someone in the city of Magnimar is committing crimes and leaving evidence implicating the Pathfinder Society. It falls to the Pathfinders to get to the bottom of it, and what they find may signal the resurgence of an enemy thought long defeated. Description: A Pathfinder Society Scenario designed for levels 1–5. The Mendevian Crusade draws heavily on the Pathfinder Society’s resources, and unless the Decemvirate can secure the assistance of generous patrons, the society may not have sufficient capital both to fight off the demonic invasion and to prepare its expedition to a lost historical site within the Worldwound. Upon hearing that the daughter of an eminent and wealthy of citizen of Sauerton has gone missing, the Pathfinders rush to her aid in the hope of earning her father’s goodwill and support in upcoming endeavors. Description: Through the Ages is a civilization building game. The goal is to develop your civilization, not to destroy other ones. Military strength is just one aspect of your nation, as well as population, production or science. It is up to you which aspect you will concentrate on, more or less, but you should not underestimate any of them while building your civilization. Victory is achieved by the player whose nation produces the most culture during the game. Description: The popular kickstarter game has arrived! Take your role as the boss monster of a dungeon, competing against other bosses of the land to build a hero luring (and destroying) dungeon to amass your power and be declared the greatest boss monster of all! Just watch out for that Demigod! Description: The Dungeon lies before you; you’ve assembled your party of hearty adventurers and have a few tricks up your sleeve. How far will you go to seek glory and fame? Will you risk losing everything? We will play 2 games per session, the winner of each game will get a copy of the game, and the non-winners will be in a raffle for a copy. 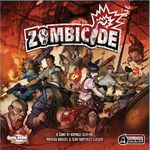 Description: Zombicide is a collaborative game in which players take the role of a survivor – each with unique abilities – and harness both their skills and the power of teamwork against the hordes of unthinking undead! Zombies are predictable, stupid but deadly, controlled by simple rules and a deck of cards. Unfortunately for you, there are a LOT more zombies than you have bullets. Find weapons, kill zombies. The more zombies you kill, the more skilled you get; the more skilled you get, the more zombies appear. The only way out is zombicide! Description: Sail the treacherous waters of the Mystic Seas! Guide your ship with a steady hand and be the last captain sailing to win. There should be enough time for two games in the time slot. Description: You're rich uncle left you this money and its your job to blow it!